Atty. Norwood joined Lewis, Rice & Fingersh L.C. after serving as a law clerk for U.S. District Court Judge Scott O. Wright in Kansas City, MO., from 1986-1988. Throughout his legal career, he acted as a trial and appellate attorney in state and federal litigation matters throughout the United States, with primary concentrations in Illinois and Missouri. His wide-ranging practice includes representing national and regional banks, mortgage companies and other financial institutions in various commercial litigation matters. Additionally, he represents health insurers, health maintenance organizations and healthcare providers in health-related litigation disputes. He has also served as counsel to the St. Louis Metropolitan Police Department and the St. Louis Career Education District. Regent Norwood is an arbitrator with the American Arbitration Association and serves as an adjunct professor at Washington University in St. Louis. He is also a member of the American Law Institute. Because of his commitment to promote diversity and inclusion within his firm and the community, Atty. Norwood is chairman of the firm’s Diversity and Inclusion Committee. He earned a J.D. degree from the University of Missouri – Columbia School of Law, from which he received the prestigious 2009 Citation of Merit award. Vanessa Foster Cooksey serves as the Senior Vice President of Community Affairs at Wells Fargo Advisors, LLC. In this role, she plans, directs and executes the firm’s nationwide strategy for charitable giving, volunteerism, and community and civic involvement. She leads a team that focuses primarily on opportunities in the areas of financial education, healthy aging, workforce development and arts and culture. She also serves on the company’s Senior Leadership Board and Management Committee. Vanessa joined Wells Fargo Advisors in 2013, after previously serving as the senior director of community affairs at Anheuser-Busch. There, she managed more than 300 grants and partnerships and led the company to receiving its highest corporate reputation score in its history. Prior to Anheuser-Busch, Vanessa was the director of community and government relations for Supervalu. Her career has spanned across corporate, public and non-profit sectors, and she has served in leadership roles for the Cartoon Network, CNN, the Atlanta Public Schools and the City of Atlanta. Vanessa earned her bachelor’s degree from the University of Texas-Austin. She has an extensive history of non- profit board experience and volunteer service, where she has focused on organizations and programs that promote literacy and education, diversity, youth leadership and health and wellness. She resides in St. Louis with her husband and young son. Reginald D. Dickson is chairman of the board and executive vice president of BYW Investment Advisors. Dickson has 35 years of continuous Fortune 500 board experience, including the Board of Directors and member of the Audit Committee of Dollar General Corporation, board chairman at First American National Bank/AmSouth (now Regions Bank) Community Development Corporation and Board of Directors for Heartland Bank. Currently, Dickson serves on the board of Huntington Preferred Capital, Inc. This extensive corporate experience adds great insight into the BDHS investment evaluation and decision making process. Dickson has cultivated civic relationships statewide and within St. Louis while serving on the boards of several organizations, such as the American Red Cross (Founding member of Charles Drew Blood Drive), the Family Investment Trust, the United Way, St. Louis Community College Foundation, African American Business Leadership Council – Harris-Stowe State University, Southeast Missouri State University Board of Regents, the Boy Scouts of America, Black Leadership Roundtable (founder), Grand Center and the Small Business Advisory Council for the FCC. Most notably, Dickson is the retired president and CEO of Inroads, Inc., a national minority career development organization. Dickson’s volunteerism has garnered him the American Red Cross’ Charles R. Drew Award and the Salvation Army’s William Booth Award. Reginald continues to be active in the cultural fabric of St. Louis as founding member of St. Louis Rhythm and Blues Preservation Society. 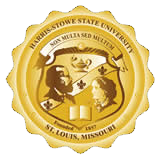 Dickson earned a bachelor of arts from Harris Teachers College and a bachelor of science in business from Washington University, St. Louis. Christine A. Chadwick is the retired founding executive director of FOCUS St. Louis®, the region’s premier leadership organization. It is a non-profit organization that develops and connects leaders from diverse backgrounds, and empowers them to work together to build a thriving St. Louis community. FOCUS programs and initiatives develop and engage leaders from high school students to senior executives. Chris was named the first executive director of the organization following the merger between The Leadership Center of Greater St. Louis and Confluence St. Louis in November of 1996. In June of 2011, she oversaw another strategic transaction to incorporate the programs of Coro™ Leadership Center-St. Louis into FOCUS. In addition to serving as executive director, Chris also directs the flagship Leadership St. Louis and Experience St. Louis programs and serves as lead consultant/project manager on many customized programs FOCUS designs for clients. She is one of the St. Louis community’s most active volunteers, having served on the boards of more than 30 nonprofits, including terms as president of six of these boards. Chris currently serves on seven nonprofit boards and an additional six community boards in an advisory capacity. She has received numerous honors and awards. She and her husband, David, have four grown children, a son and two daughter-in-laws, and three grandchildren. Prior to retirement, Debra Hollingsworth served as vice president of external affairs at AT&T-Missouri, and managed statewide community engagement, outreach and education. She also served as chief of staff and directed public affairs functions for Cindy Brinkley, former president of AT&T-Missouri. Her primary responsibilities included building third party support for legislative, regulatory initiatives across AT&T; overseeing, leveraging AT&T Foundation grant and charitable giving programs for Missouri; sales support; special events; employee organization liaison and managing the state budget. Hollingsworth joined the company in 1979 and held numerous management positions, and gained experience in various functions, including marketing, regulatory affairs, network, constituency relations, special services and external affairs. Hollingsworth was selected by Governor Blunt to chair a new education initiative, Mathematics, Engineering, Technology and Science Alliance in 2006. In this capacity, she gathered statewide data, wrote the report and traveled the state presenting the findings. The Governor asked her to join him to present his budget proposal throughout the state. She engaged businesses, educators, policy makers and parents to form the grassroots Missouri Mathematics, Engineering, Technology and Science Coalition (METS Coalition). The METS Coalition Board of Directors recently elected her as chairperson. The St. Louis Business Journal recently named Hollingsworth as one of the Most Influential St. Louisans. In 2004, she was named one of the Twenty-Five Most Influential Business Women in St. Louis by the St. Louis Business Journal. Hollingsworth is a graduate of Leadership St. Louis, Greater Missouri Leadership Challenge and serves on the board of directors of the OASIS Institute of St. Louis, St. Louis Minority Business Council, Opera Theatre St. Louis, the University of Missouri-St. Louis Chancellor’s Council, St. Louis Community College Foundation, March of Dimes, Character Plus, Urban League of Metropolitan St. Louis, the Council for Educational Development, St. Louis Regional Chamber and Growth Association, National Children’s Cancer Society, Girls Incorporated, Webster University School of Business and Technology Advisory Committee and the International Institute. Hollingsworth is a native of Raton, New Mexico. She earned a bachelor’s degree in communications and journalism from West Texas A&M University and a master’s degree from Webster University. In her personal time, Hollingsworth engages citizens from across the state to support METS initiatives, enjoys traveling with her husband Mark Stacye, and visiting with her two daughters and granddaughters. Deborah is responsible for generating, cultivating and closing business investment opportunities in Missouri with domestic and international companies across multiple industries. To this end, Deborah responds to RFP’s, vets available sites and buildings, identifies utility availability, facilitates meetings with strategic partners, provides community and workforce information, and negotiates incentive. In 2013, Deborah served in a lead role to coordinate and package Missouri’s $3.5 billion proposal to manufacture Boeing’s 777X commercial airplane. The State's efforts paved the way for Boeing's decision to create 700 jobs in St. Louis to build parts for the 777X, marking it the first time Boeing brought commercial aircraft production to St. Louis. As General Counsel, Deborah advises the CEO on overall risk management for the Partnership including organizational operations, compliance issues and other matters that arise. She is also responsible for review and approval of all non-disclosure agreements, contracts and other legally binding documents. Before joining the Missouri Partnership, Deborah served as Director of Boards & Commissions in the Office of Missouri Governor, and was tasked with developing and implementing a process to recruit and appoint thousands of individuals. Prior to that, Deborah served as an Assistant Attorney General for the State of Missouri, where she prosecuted civil and criminal consumer fraud cases. Deborah also served for three semesters as an adjunct assistant professor at Saint Louis University School of Law. Deborah received her J.D. degree in 2004 from Saint Louis University School of Law, and her B.A. in History with a minor in Business in 2001 from Washington University in St. Louis.